If you’re sick of shoving your cold, wet feet into boots and are ready to break out shoes that you can actually see your ankles in, Sperry is here for moral support. 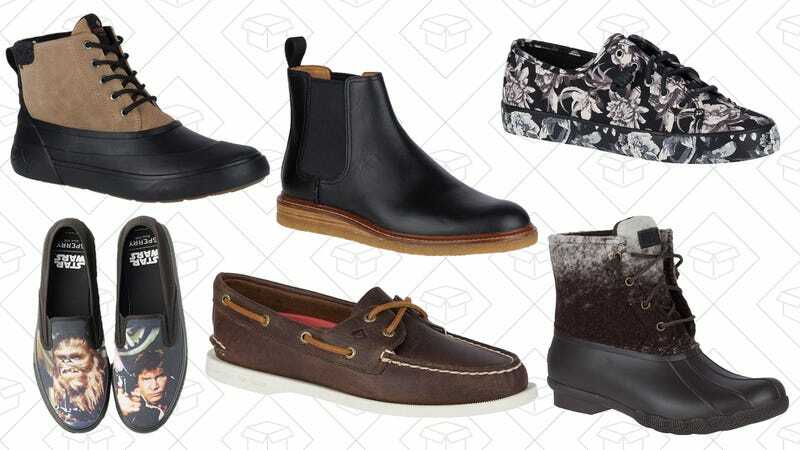 Use the code KINJA10 and grab an extra 10% off their entire sale section, which does include weatherproof boots, but also classic Sperry boat shoes, sneakers, sandals, and even some flip flops. Plus, this sale includes clothing as well.